I’ll be honest. I have no idea if I will get back to posting consistently enough to have daily themes. BUT! I have a new toy that I love and that I’d love to share. So Friday Finds shall return for the week. 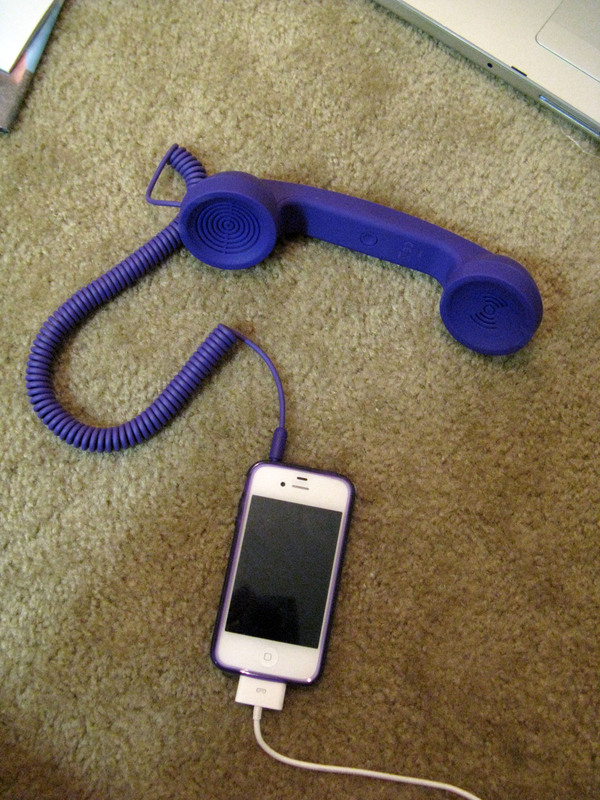 Since I grew up before cell phones were quite the ubiquitous thing they are today, I spent my middle school (and high school, and some of college) years with my ear stuck to a handset, attached to a phone, attached to the wall. I got quite good at pinching the handset between my ear and my shoulder so I could use both hands while talking on the phone. And, while there are many, many more and greater freedoms granted by the little cell phones we carry around in our pockets, easy squishing-between-shoulder-and-ear is not one of them. It creates a very odd crick in the neck. Or requires one of those stick-in-your-ear headsets that never really fit in anyone’s ear. Long before I dreamed of actually owning an iPhone, I learned (from FAB or Swiss-Miss, I can’t remember which) that there were such wonderfully designed things as the POP Phone. Handsets that replicate the look and feel of old telephones with the convenience (although not quite the portability unless you have a large purse…which I do) of your cell phone. Amazing. So when I finally got an iPhone, I got one. Because iPhones are REALLY not good for squishing between your ear and your shoulder. 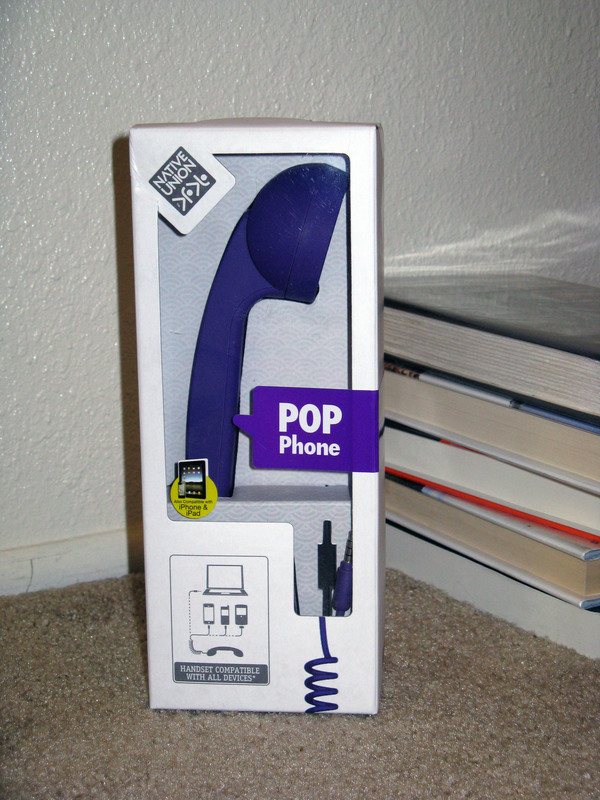 The POP Phone has arrived! I got mine from Nordstrom. It’s purple to match my phone cover, natch. Nate thinks it’s hilarious, I think it’s wonderful!